LMC Laredo is a full cutoff, decorative wallpack available in energy-saving LED, CFL and HID systems. Vertical lamp performance in segmented optics coupled with many optional features make this unit a specifiers favorite. 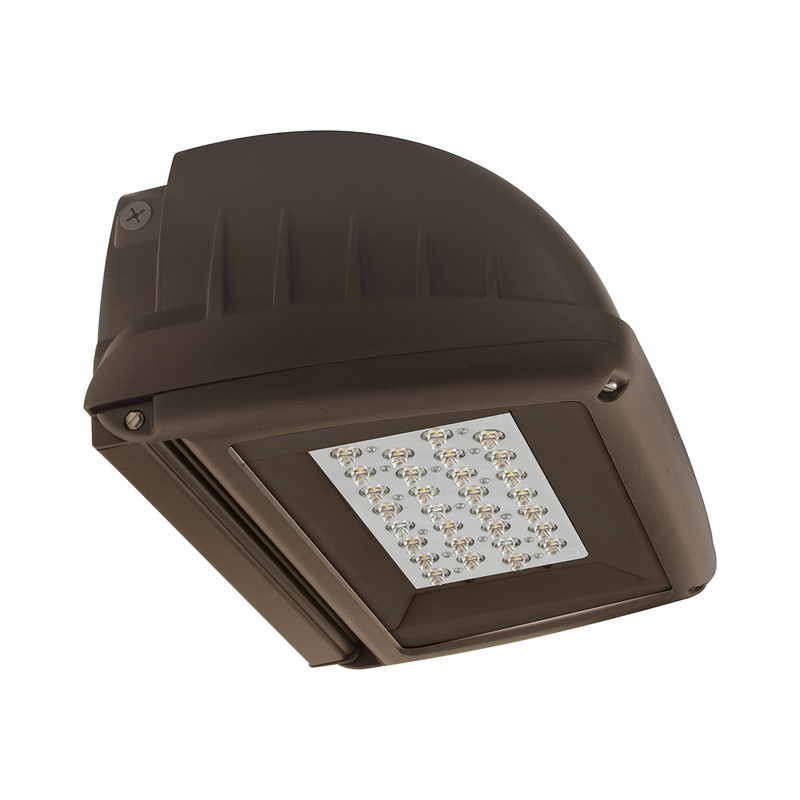 Full cutoff, Dark Sky compliant perimeter lighting meeting the strictest lighting codes. Decorative cast aluminum housing and door. Rugged protection for internal components. Provides heat sink and long ballast life. Full cutoff distribution - flat glass and segmented reflector provide wide spread with an environmentally-friendly light control. Standard on HID units, removable 'comfort shield' reduces forward beam projection while maintaining lateral throw, if desired. The compact fluorescent version features one or two lamps and can be ordered with optional ballast battery backup of one lamp for emergency egress applications. Three point lag over recessed wiring boxes. Three 1/2" conduit hubs allow feed-thru surface wiring capability. LED units feature "Quick Mount" never open the fixture installation. Three 1/2" threaded hubs to accommodate surface conduit. Wide selection of wattage and source including pulse start and electronic metal halide.